New Jersey’s Drug Court program may be appropriate for you. Drug Court may be an option if you are charged with nonviolent drug-related offenses. 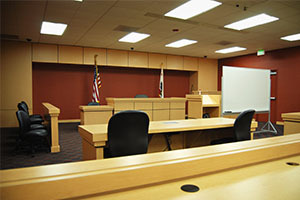 Drug Court programs are intensive, rigorous, and most appropriate for individuals struggling with drug or alcohol abuse. The program is a collaborative effort between the court, probation officers, and rehabilitative and treatment specialists. The goal of Drug Court is recovery, not punishment. It requires frequent drug tests, treatment programs, and check-ins with the court. Although supervision is intense, the program is structured to encourage successful completion with graduated stages. Upon successful completion, there is an opportunity to participate in a graduation ceremony in front of close family members to recognize your achievement. It is important to keep in mind that the conditions of the program must be complied with. Termination from the program can have undesirable consequences. Typically, prior to entering into Drug Court an individual agrees to a conditional plea. This means if an individual is terminated from the program he or she pleads guilty to certain charges. Meet with an experienced attorney at LS&P Lawyers to discuss whether Drug Court may be an option for you.